Consumers of culture in the modern world — high culture or popular culture — discover before long that the Bible, its tales and its characters and its idioms, is woven into the culture. Most of us wish we knew the Bible better, and are often at a loss to know what the biblical source or reference is to phrases or ideas we encounter. The editors of this unique volume have seen the need for an easy-to-use reference guide for those needing to track down information on characters, phrases, places, and concepts originating in the Bible. They assembled 200 scholars to write 1000 encyclopaedia entries on such biblical backgrounds to Western culture. The contributors to the volume have in mind readers without the specialization of formal biblical studies, and even those not familiar with the Bible’s basic content. The presentation is twofold: entries begin with discussion of biblical terms in their original settings, and then illustrate occasions when those terms reappear in later cultural artefacts. 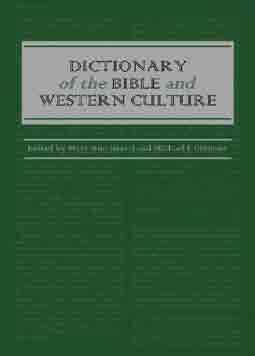 This volume is then a dictionary of the reception of the Bible in later Western artistic and intellectual expression. There is a great deal here to explore and discover; turning these pages will prove illuminating not only as an introduction to biblical literature but also as a demonstration of the Bible’s persistent contributions to our cultural heritage. Mary Ann Beavis is Professor in St Thomas More College, University of Saskatchewan, Canada, and founder and editor of the Journal of Religion and Popular Culture. Michael J. Gilmour is Professor of New Testament and English Literature at Providence University College, Otterburne, Manitoba, Canada.